I have been increasingly MIA these past few weeks - have you noticed? I've been so busy doing the usual holiday stuff! 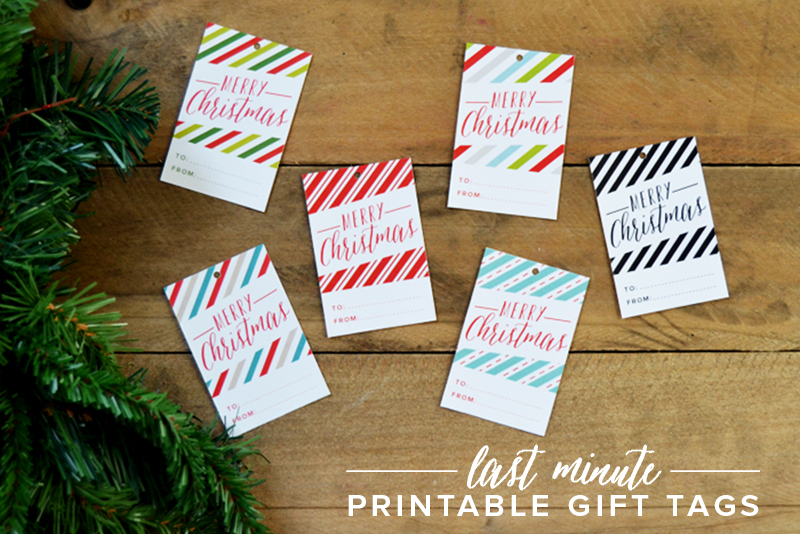 Anyway, if you still need gift tags - here are a couple of embellishable tags I made (along with ready-to-print ones available to download at A Nest for All Seasons). I am a procrastinator so I still haven't finished wrapping gifts (and I'm sure some of you guys are like me too) so if you're it, enjoy these! 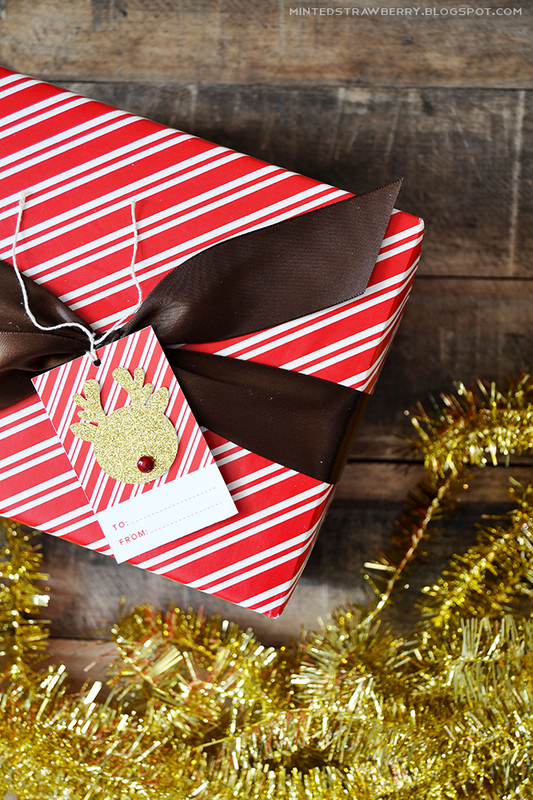 The printable comes in striped tags of different colors - in my post for A Nest for All Seasons, I mentioned how hard it is for me to choose gift wrappers AND matching tags. I really REALLY want my tags to match, so most of the time I end up making my own. 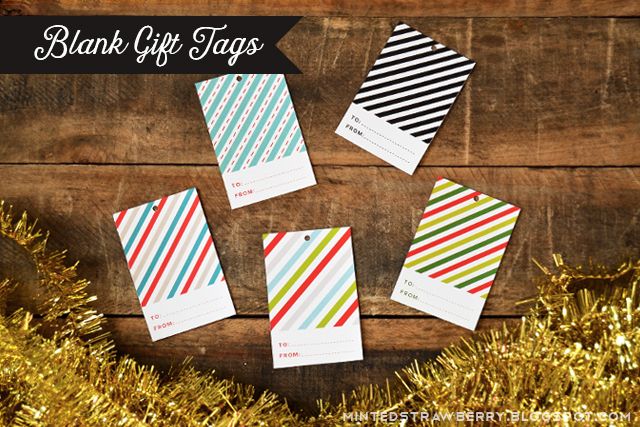 These striped tags are perfect not only for Christmas but other holidays as well (or maybe even birthdays). My mom picked out a blue/pink/red/kraft color combo for this year's gift wrap since I'm into that these days. Don't forget to download them at the end of the post - and as always, they are for personal use only. 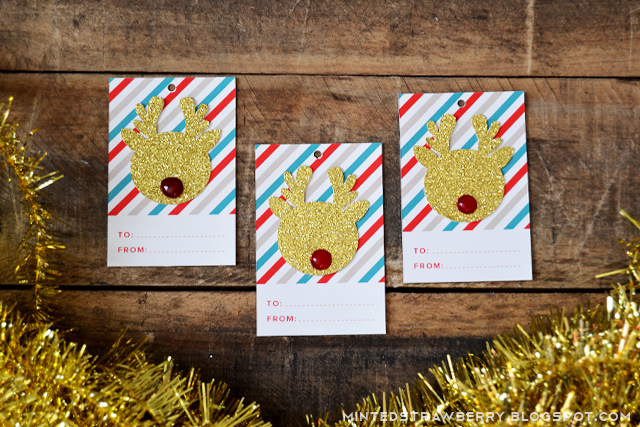 I used my Silhouette Portrait to cut cute reindeers and added DIY enamel dot noses. Aren't they adorable?! Yes, of course there's candy cane red - perfect match for my Dollar Tree candy cane gift wrapper (I have a ton of Christmas gift wrappers in my stash). Want ready-to-print ones instead? Download them on A Nest for All Seasons! Have a fun Christmas you guys! Enjoy it - I know I will.